Languages Spoken: Hindi, English, and Garwali. Haridwar is at the point where the river spreads over the northern plain. It lies at the base of the Shivalik Hills where the Ganga passes through its last gorge and begins a 2000 km journey across the plains. 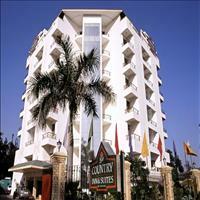 One of the four venues for the Kumbh Mela, held once in twelve years, it is among the seven sacred cities of India. 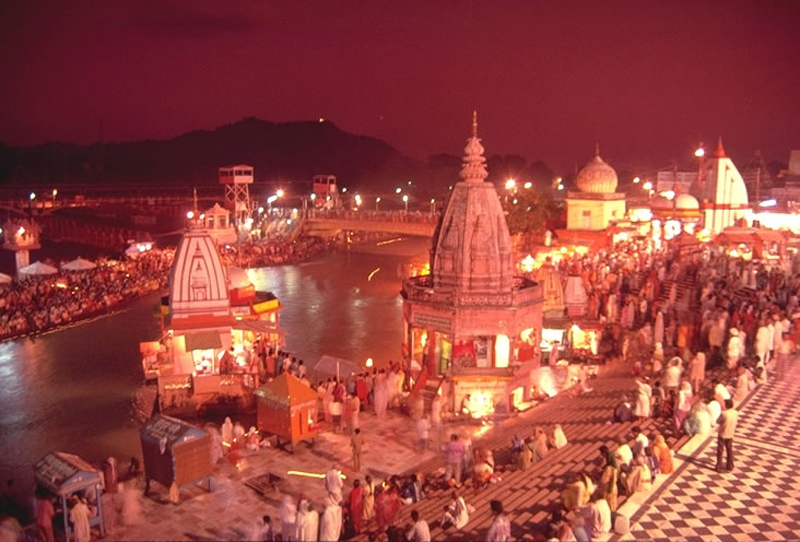 Legend: A footprint, claimed to be Vishnu&apos;s, exists on the bank of the holy river giving Haridwar (Vishnu&apos;s gate) its sanctity. 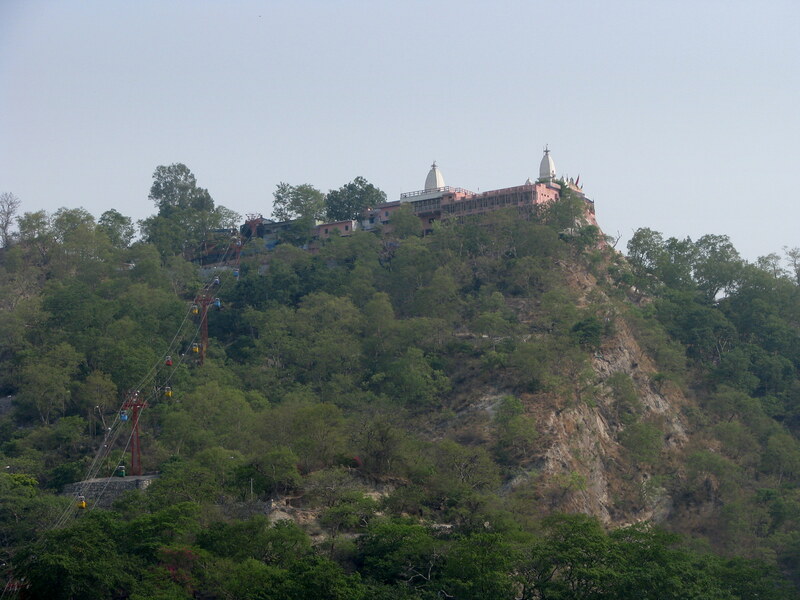 Therefore the holy dip at Har-Ki-Pairi is a must for every devotee. 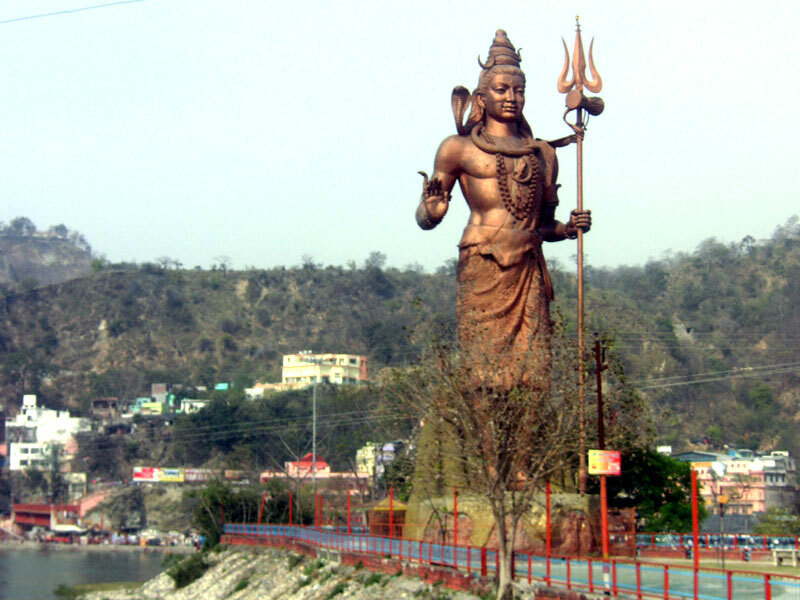 Situated at the confluence of the rivers, Chandrabhaga and Ganga, Rishikesh has long been a spiritual centre. The holy city of Haridwar is located in the north Indian state of Uttaranchal at a distance of 214 km from Delhi. 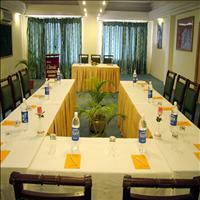 Haridwar extends from latitude 29° 58&apos; in the north to longitude 78°13&apos; in the east. 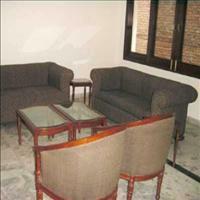 The place is well connected to other cities of north India by road and train. 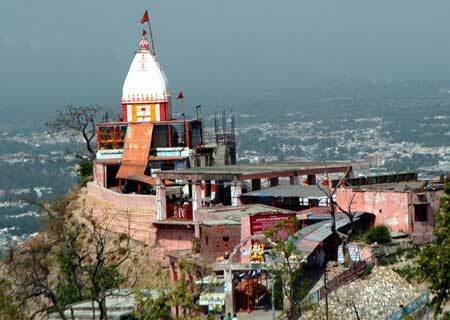 Atop a hill, namely Mansa Pahar overlooking Haridwar, this temple is dedicated to the goddess who makes wishes true. A ropeway to the heart of town connects it. A view from the cable car is breath taking and the up and down journey is well worth even if you are not a devotee. It is a 5-minute journey each way and the return trip costs Rs. 20. The temple is open from 8 am to noon and again from 2 pm to 5 pm. 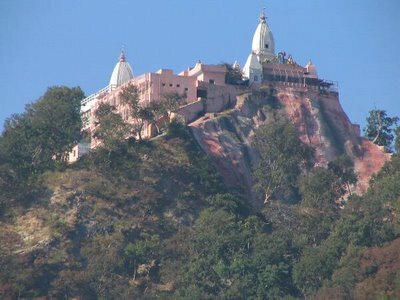 This is an imposing edifice dedicated to Guru Gorakhnath on the main road leading to Har-ki-Pauri. 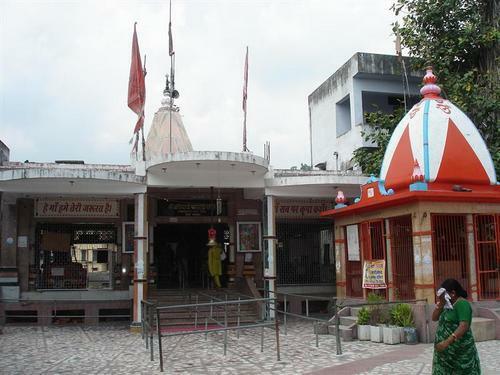 As might be expected in such an ancient pilgrim centre, Haridwar has temples for all devotees, all shades of religious persuasions under that great umbrella of faith called Hinduism. Kankhal Temples are 3 km from Haridwar; Kankhal is now a part of the city. 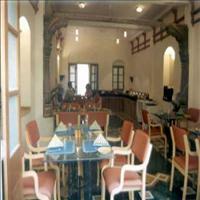 There are a number of famous temples here including The Deksheshwar Temple and the Birbhadreshwar Temple. This temple is 6 km. 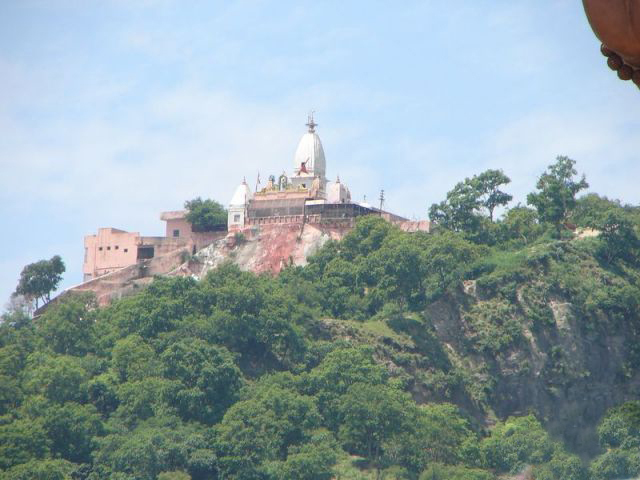 from Haridwar on the top of a hill called the Neel Parvat, on the other side of the river Ganga. The story goes that Chanda-Munda the army chief of the demons Shumbh-Nishumbh were killed by Goddess Chandi hence the name Chandi Devi. 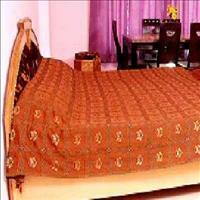 It also said that Adi Shankaracharya established the original statute of Chandi in 8th century AD. 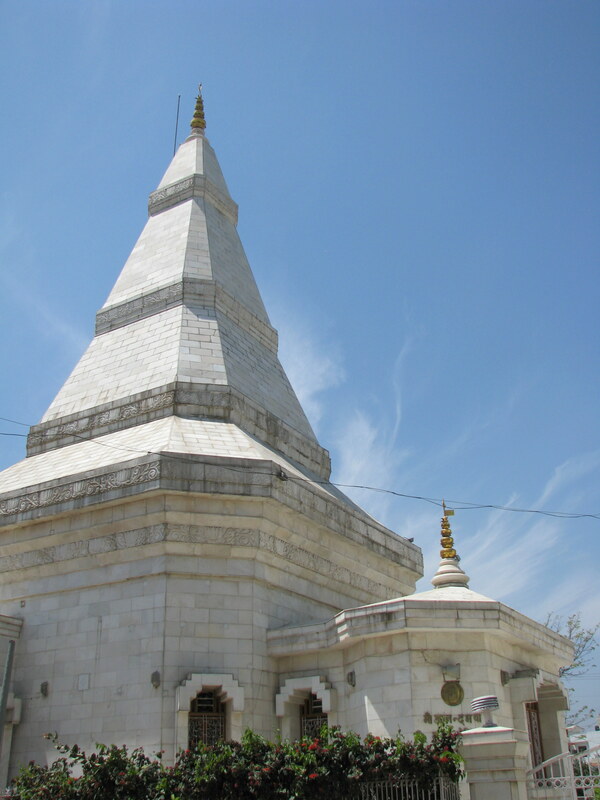 The King of Kashmir, Suchat Singh, constructed the temple in 1929 AD. Chandi Devi is a three km trek from the Chandi Ghat. Chandi Devi Temple is now accessible by a ropeway also, by the name of Chandi Devi Udankhatola, which starts near Gauri Shankar Temple. The length of Ropeway is 740 m and height 208 m. There is a dense forest on the other side of the hill inhabited by elephants and other wild animals. Though all the Hindu festivals are celebrated here with pomp and gaiety, it is the Ardh Kumbh, which attracts the mind of any tourist to this place. 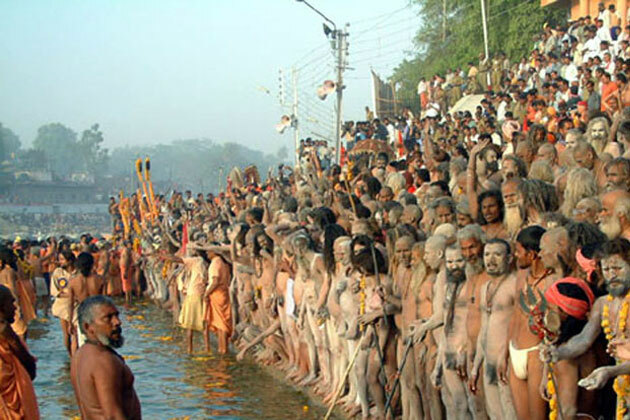 The Ardh Kumbh is held every six years and the last Ardh Kumbha of this century ended this year. 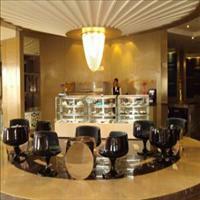 It is said that a holy dip in the river Ganges during the Kumbh gives you Mocha or Nirvana. 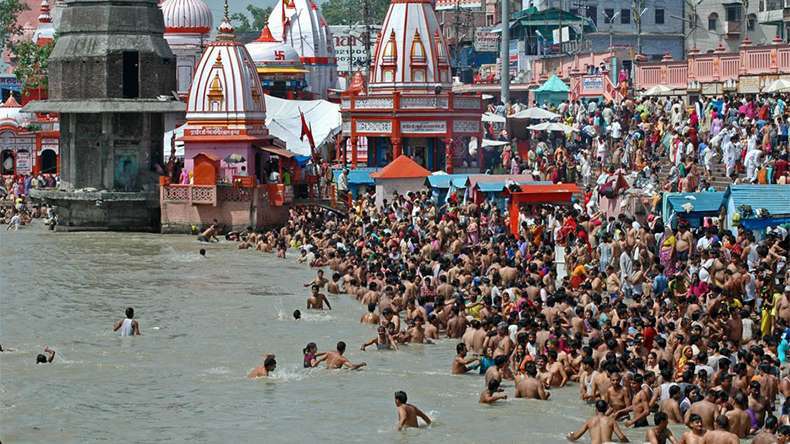 People gather in huge number to take the holy dip during these holy days. There are Saints, Naga Sadhus, Politicians almost every one is here. The city is overflowing with people. 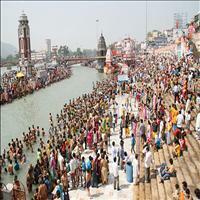 If going to Haridwar during the Ardh Kumbh then avoid the over crowded ghats. Every there are reports of stampedes and the various factions or Akharas of Sadhus clash with each other. 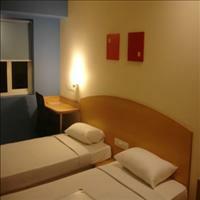 Ensure your accommodation well in advance if going during the Kumbh. 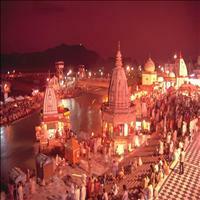 This is the heart of Haridwar. 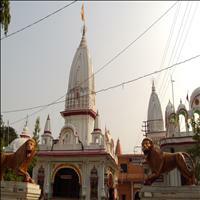 It has got its name Har ki Pauri as the Hindu God Hari descended to this place. 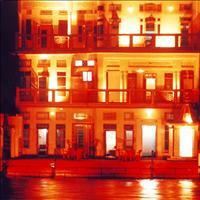 The glimpses of Ma Ganga have unique significance here. 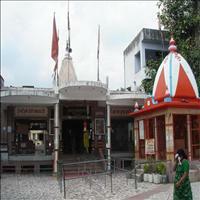 The Hindus regard this Ghat as the most sacred Ghat. 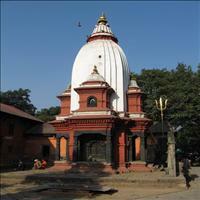 It is also famous as Brahmkund. As the name signifies, it is believed that the Hindu God Brahma descended on this place and from that time this place is known as Brahmkund. It is this Brahmkund where every Hindu wishes to take a dip at least once in lifetime to reserve a place in heaven. 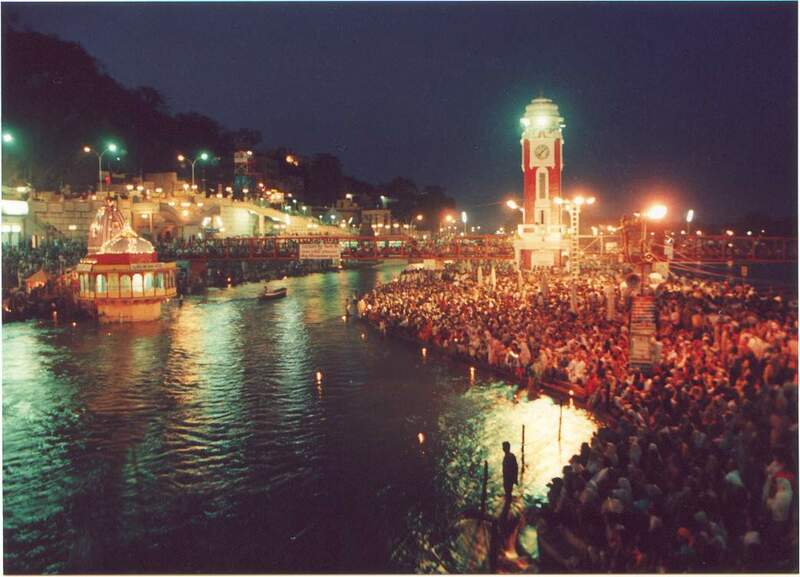 Har-ki-Pauri is also the scene of a memorable ritual every evening. After sunset, before disciplined ranks of devotees, Aarti is celebrated. 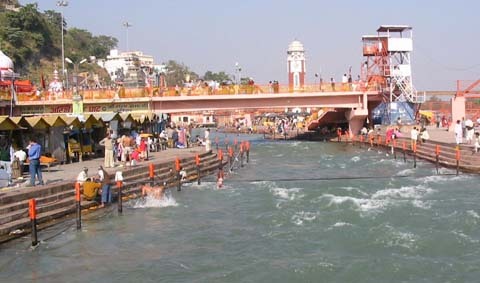 Virtually all devotees who visit Haridwar have a sacramental bath in the river Ganga. 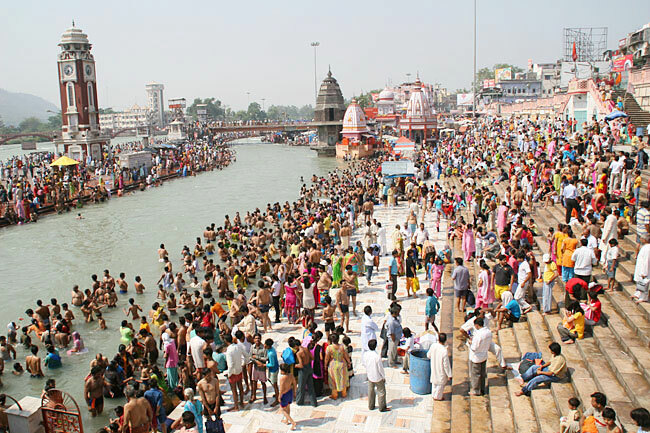 Though Har-ki-Pauri is the most popular one, yet there are other bathing ghats too. Bathing ghats, or steps, have been built leading down to the specially diverted waters of the river so that devotees can bathe in safety. 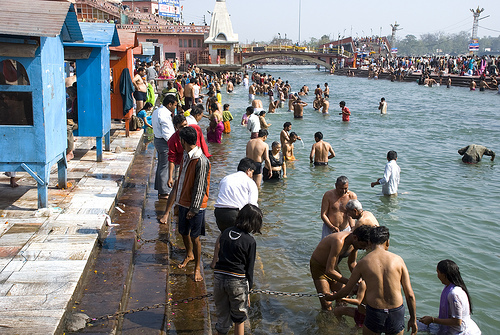 Dedicated bathers then immerse themselves off the natural banks of the swift flowing, and often very chill, Ganga. The present temple was built in 1943, but the original temple, reputedly, dates back to the 11th century. 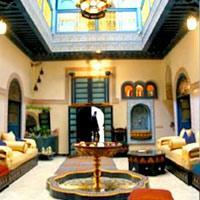 Experience the magic of some of the less visited yet equally enchanting cities of India with this tour. Travel across the fine line of country attractions where modernity blends with history creating a beautiful montage of memories for you. Apart from being a world renowned Hindu pilgrimage, Gangotri is also a popular place with adventurers looking for the thrill of conquering nature. Starting with Ladakh which offers some great views of snow capped peaks and mysticism of ancient Buddhist culture, this tour takes you forwards to the sacred Gangotri couched in the magnificent Garhwal hills. Visit the centuries old Gangotri shrine or take a look at the Gaumukh glacier, the experience of this tour will stay with you forever.